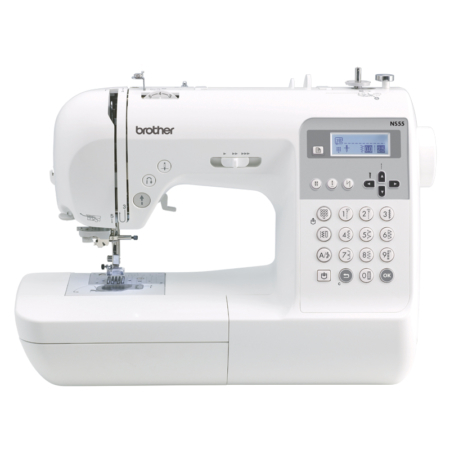 An affordable overlocker/coverstitch machine with a wide range of features and impressive stitch quality. 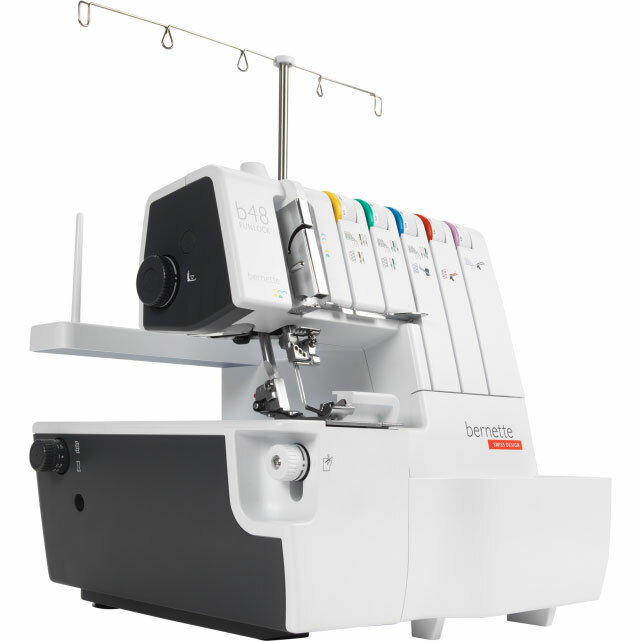 The bernette 48 is the top model of the Funlock series and is a combination of an overlocker and a coverstitch machine. 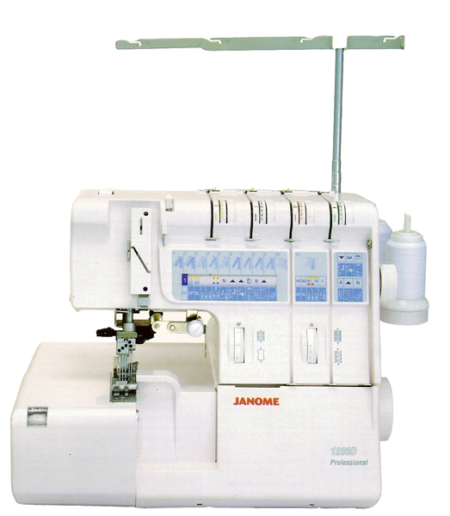 It has a total of 23 stitches: 15 overlock stitches, 3 coverstitches, 4 combo stitches and 1 chain stitch, overlock stitches with a stitch width of up to 7 mm, coverstitches with stitch widths of 2.8 or 5.6 mm and combo stitches with a stitch width of up to 10 mm. Colour-coded thread paths make threading easier and in the needle area, a manual threader helps to threading the needles. The lower looper and chain looper have a mechanical threader. 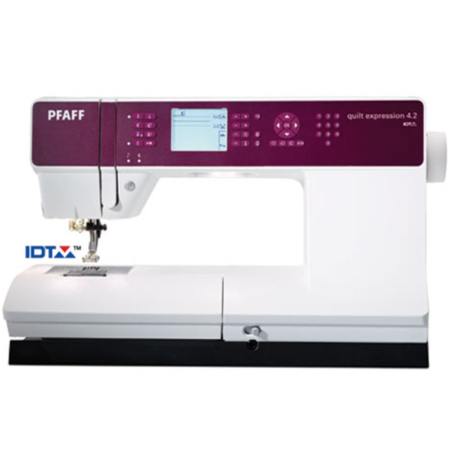 The knife is operated from below, which not only ensures a cleanly cut edge, but also safe handling, and it can be adjusted comfortably with one hand. 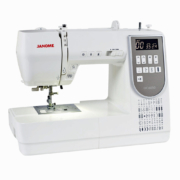 The bright LED light provides a well-lit sewing and threading area. The bernette Funlock 48 has a sewing speed of up to 1300 stitches per minute.